Whew! It seems like I’ve been gone ages. Certainly, it’s been a while since I last tended to my blog. Usually, I tend to pile up a stock of articles with which to keep my blog going while I’m away. This time, I didn’t get a chance to do so. Of course, there were plenty of drafts. But, as they say about the plans of mice and men, I didn’t have a good Internet connection. After initially trying to muddle through however I could, I happily gave up the attempt. It was nice to be disconnected for a change. Not having a smartphone meant I was completely free. I had an ordinary flip phone, and initially, I found it irritating – I couldn’t look up a link or figure out the address. Slowly, I began to enjoy the freedom. You don’t realise just how much you’re bound to your devices until they aren’t there anymore. Life in Bombay was good – the monsoon gods had decided to give me a break. It rained heavily, yes, but mostly for ten-minute intervals. The bulk of the rains occurred during the night. We weren’t really inconvenienced because of the monsoons. However, the traffic – oh, my! It took us three hours (and I’m not exaggerating) to get from Bandra to Thane – at 8p.m. – a journey that typically would take 45 minutes to an hour, tops. Construction – flyovers, the Metro, sundry buildings; potholes, general apathy… all compounded travel woes. I wandered around dusty bylanes which seemed to have become narrower than I remembered them; ate paani puri and drank enough ganne ka ras to satisfy the inner me and to wash away the fine dust that seemed to coat my throat; cribbed about the heat, the traffic, the dust and the crowds to a friend – and ended my litany of complaints with ‘How I love being here!’ He laughed. 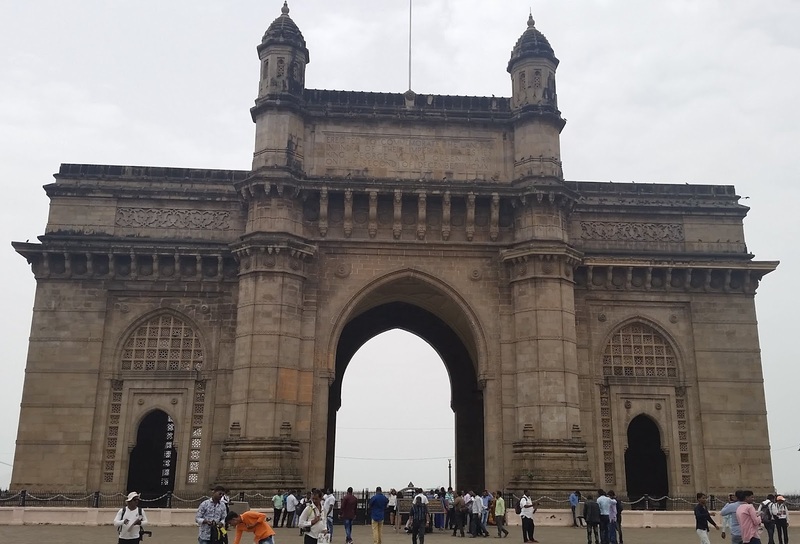 S came to India later – one day, to keep young A from being bored out of his head, we took him to ‘Town’, which is South Bombay; we didn't have time to take him to Elephanta Caves, but we visited the Gateway of India and showed him the Taj where the attack of 26/11 took place; we asked him if he wanted to visit Leopold Café, but he didn’t want to see a place where people had died, he said. But then he did, but we had walked quite some distance away, and so he didn’t. 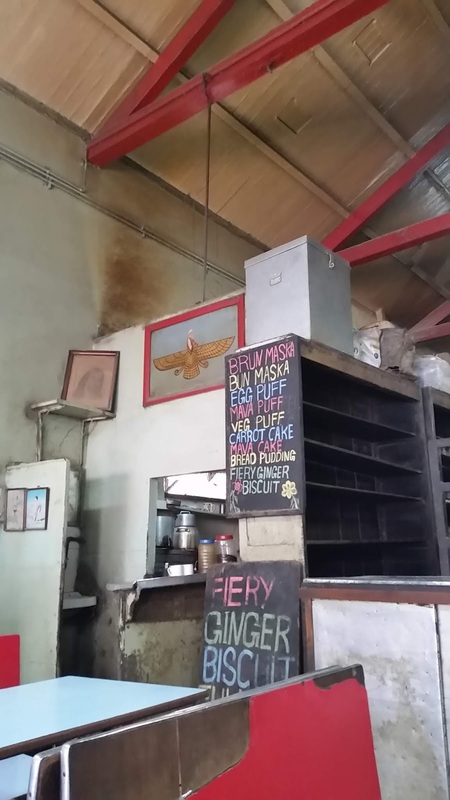 We visited old haunts: Yazdani Bakery, which always makes me feel we are stuck in a time warp; a rather run-down little place that appears it hasn't been renovated since its establishment, but which sells the most amazing bun-muska and fiery ginger biscuits, not to mention lovely plum cakes, crisp pastries, the softest bread and melt-in-your-mouth shortbread biscuits ever. Their wares are still handwritten on chalkboard and they only take cash. S bought a kilo of the ginger biscuits to take home with him, and much like Golum, is occasionally caught gloating, ‘Mine, mine, all mine’ as he opens the tin to take one out at a time. Both S and I mourned the closing of Strand (Bookstall) and Rhythm House. 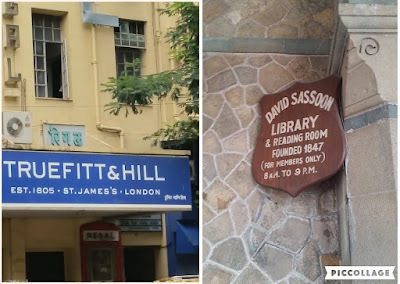 What's worse, now that the footpaths between Flora Fountain and Churchgate have been cleared, there aren't any secondhand booksellers there anymore. A friend had told us that the booksellers had shifted elsewhere but we didn't spot any. 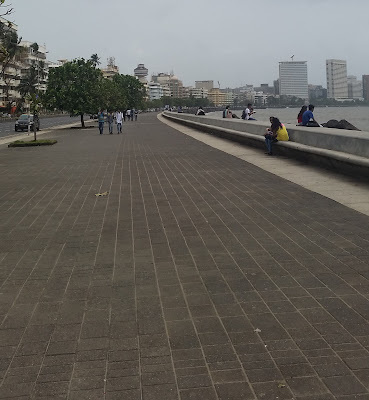 Half the fun of going to South Bombay is walking around the city. (Young A decided that this was the 'clean part of Bombay' – he wasn't far wrong.) You get to notice some interesting sights. We paid a visit to Abdul Razzak – the vinyl records vendor we had only ‘discovered’ last year. This year, we had come prepared, and young A was thrilled to get the soundtracks of West Side Story, The Sound of Music and My Fair Lady. We picked up Teesri Manzil, Jewel Thief, and pounced on an LP that had Bandini and Meri Surat Teri Aankhen on one disc. 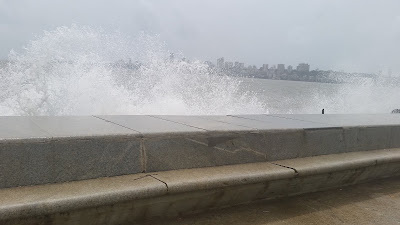 For young A, the highpoint of the trip was Marine Drive; it was too early in the day for him to see the ‘Queen’s Necklace’, but he loved the sight of the sea, whipped up by the monsoon winds, and chortled when a wave caught us unawares. We watched young people take selfies on the rocks piled to shore up the stone walls, and sighed over their perceived sense of immortality – there are signs everywhere warning people not to climb over the embankment. The fisherfolk are mad – every year, there are dozens of casualties because people do not pay attention to posted warnings – and they put their lives at risk to retrieve the bodies. The sea is a harsh mistress, and who knows it better than they? On the way back, we discovered S had dropped his credit card somewhere, but there was nothing much we could do right then. 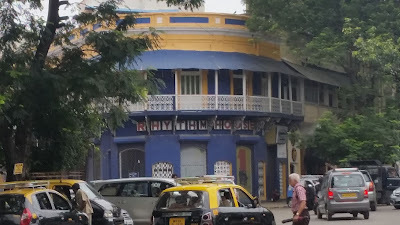 So we grabbed a bite to eat at Churchgate and cemented our status as locals: we travelled by the local train. And survived to tell the tale. Later, on a trip to Ville Parle, we spotted a second-hand book store. A genuine, second-hand book store. Usually 'second-hand books' is code for pirated versions of pulp bestsellers. Not here. Not only did we find some great books – S delved into a pile and triumphantly held up a copy of Richard Gordon's Doctor in the House – the young man overseeing the store both knew his authors and his customers. S and I also met the lovely Banno. We’d missed her the last couple of years. 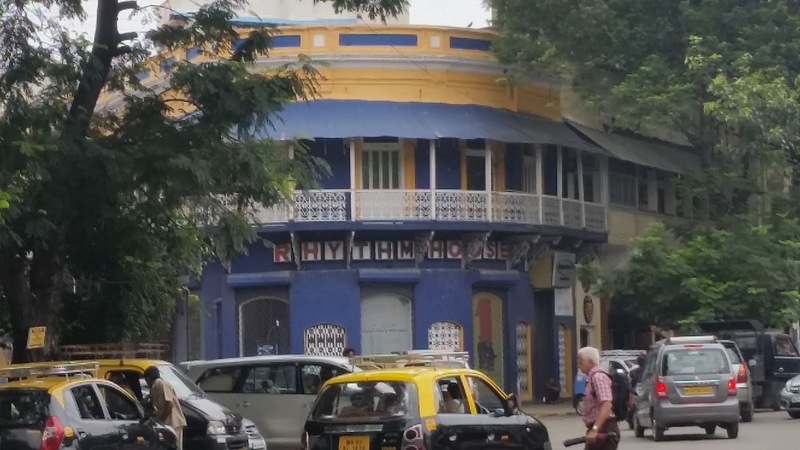 While chatting with her about movies and music and our tryst with Razzak, she informed us of her LP-wala in a Bombay suburb. Since S’s aunt lived there, and we were going to visit, we promptly accepted her offer of an intro. It was raining on the day we visited and we had young A and S’s brother with us, both of whom didn’t think ‘walking in the rain looking for chappie selling records’ was a great idea. But since S and I are slightly crazy that way, and Banno’s friend had opened the shop just for us, they could only crib under their breaths. And so, umbrellas in tow, we spent some more of our hard-earned money on some more records – Guide, Dastak and Dil ki Raahein. We mentally thanked Banno; how we were going to transport our treasures safely back to the US was a thought for another day. 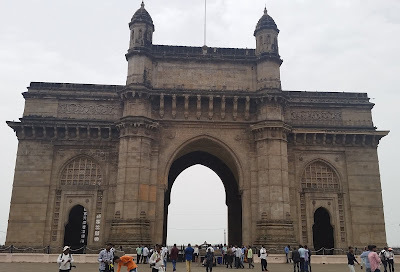 Between these trips and running around to get our usual work - bank, society, etc., done, we met relatives and friends, watched a movie (Kaarwan), ate lots of good food including a vegetarian feast at ISKCON, complained we didn't have enough time to relax, and enjoyed ourselves thoroughly. The next leg of our trip was back down south for my father's birthday, and full of incidents – both happy and fraught – but more about that later. *Photographs: Courtesy Master A. Warrier or 'Young A' as he's known on this blog.